The wrestling world was buzzing after Ring of Honor signed a number of the sport’s hottest free agents to exclusive contracts last month, and the ROH newcomers wasted no time proving how buzzworthy they truly are. The wave of incoming talent — PCO, Brody King, Bandido, Mark Haskins, “Hot Sauce” Tracy Williams and David Finlay — received rave reviews on social media from fans who watched them perform in person at ROH live events in Philadelphia, Atlanta and Concord, N.C., or streaming on HonorClub. The aforementioned new faces are scheduled to be at all upcoming live events, including the Road to G1 Supercard shows Jan. 24-26 in Dallas, Houston and San Antonio. 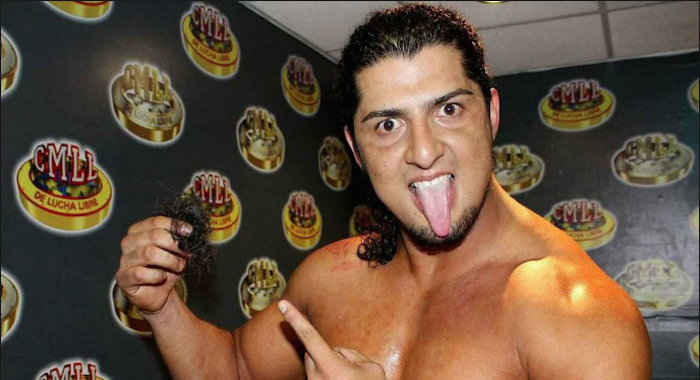 Another huge signing was announced last week when CMLL superstar RUSH inked an exclusive deal with ROH. Before officially joining the roster, RUSH made his ROH debut with an impressive victory over The Kingdom’s TK O’Ryan at the international television taping in Philadelphia in December (the full episode with RUSH’s debut is available on HonorClub) and will hit the road next month for an international television taping in Lakeland, Fla. (Feb. 9) and a live event in Miami (Feb. 10). The shows in Texas and Miami will be streamed LIVE for HonorClub. PCO and King made an immediate impact when they were revealed as the members of “The Villain” Marty Scurll’s Villain Enterprises at the international television taping in Philadelphia. Then at Honor Reigns Supreme in Concord on Jan. 13, the trio defeated ROH World Tag Team Champions Jay and Mark Briscoe and Silas Young in a six-man tag match. In that bout, PCO wowed fans with his superhuman ability to absorb punishment and execute high-risk maneuvers. Bandido, Haskins, Williams and Finlay also made strong impressions. During the international television taping in Atlanta on Jan. 12, Bandido took on Haskins, and Williams wrestled Finlay in a pair of outstanding matches. Later that night, those four were revealed as members of LifeBlood, a new faction started by Juice Robinson and Tenille Dashwood that is dedicated to restoring honor to Ring of Honor. The evening concluded with a 10-man tag match pitting LifeBlood against an ROH all-star team led by ROH World Champion Jay Lethal that tore the house down. With the new faces joining an already deep and talented roster, ROH has hit the ground running in 2019, which undoubtedly will be the biggest year in company history. The possibilities for first-time-ever dream matches are endless. What a great time to be a member of Honor Nation!